I have a copy of fight club, first edition with a personal message from Chuck (he was in Manhattan doing a book signing session) which says "To Jim - - Show me your Scars... ? Chuck Palahniuk"
I think since it's signed to you, it's worth a lot less. But I'm sure it's worth something. I'd keep it though. Why am I seeing a picture of me for Jim Richards? Is my computer glitching or did this dude swipe my profile pic? You're living in the Matrix. I think your pc is glitching, JR. Anyway, I bought a first edition of Congo signed by Michael Crichton for $3 on eBay. Of course who knows if its actually his signature, but for $3 bucks I figure who cares? I'd keep it too, Jim. Chances are no one will pay what it's worth to you. Okay, it's confirmed my computer is acting up. Time to reboot. @Jim, I doubt the book is worth much to anyone else, but if I had a copy personalized by Chuck to me, I'd find it to be priceless to myself. I'd hang on to it. I got my 1st of Fight Club signed by him out here in Pasadena when he was doing the Snuff tour. The book on its own without a sig is about $150-$200 for a 1st. I've see one with a sig (non-personalized) go for $500, but Devon is right: if it's personalized, or inscribed, it's worth less than just a stand-alone sig. He signed mine, "To Dino--Got Scars?" Personally, it's pretty damn valuable to me, and I have no intention of parting with it. Mine says: "To Emily-- The snowflake who never falls..."
It also has snowflake stamps on it. And to me it is priceless. To anyone else (unless they were also called Emily) not so much. Also, and I could be wrong here ~ I think I once read that because Fight Club has never been out of print, it doesn't have an actual "first edition" as such. It does have different covers though. It could be worth something to another Jim who's willing to lie about meeting authors (If only that J were a T!). Although, there are people who collect books with personalized messages. If I signed a book with a personal message for a fan, I might be a bit irritated to find out they're trying to pawn it. 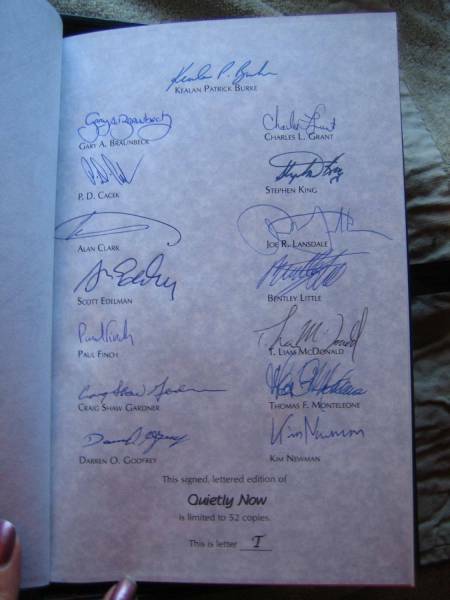 I think authors of Chuck's caliber are probably aware that at least some of the books they sign are going to end up on ebay, that said, the worth drops so drastically when it's personally inscribed I don't know why you'd bother. I only have ONE book signed that wasn't signed in person, and it's flatsigned, I imagine, as some promotional thing before the Bang found it on ebay and got it for me for Christmas. So... even though I'm a huge bibliophile and have a small collection of rare/1st eds, when a book is signed I view it as a "souvenier" from meeting an author I respect (or meeting some of the awesome authors I get to talk to here and on B&B) and I don't care about the "worth" for the outside world. I have trouble selling horrible books that I bought for a dollar. The idea of selling a book I love signed by an author I admire makes me cry. I don't think it'll be worth anything until decades from now. This guy on Antiques Roadshow had some personalized Cormac McCarthy autographed first edition books that were worth a bunch though. I think that's because he doesn't really do autographs. @SConley: The McCarthy stuff's validity is always in question. Word from his estate is that there are a handful of actual signed books by him, but they're all put away for safe keeping so his son could sell them if he ever truly needed money. Believe me, I'd break the credit card to get a 1st signed of Blood Meridian! 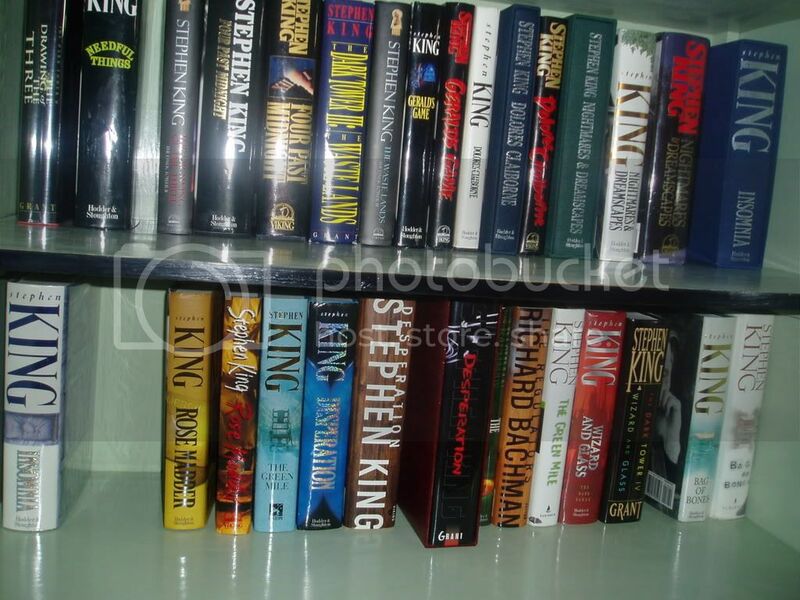 The value would depend on the first print amount for one thing, and how scarce the first editions are. If they printed 200,000 at first it would be worth less than a 10,000 first print of a book that hit big and went back to be printed over and over. I'm not an expert but this is what I've heard. I don't know what the first print was on Fight Club, but it had to have a specific number assigned to the first print run. I would ask a dealer at a good independent bookstore to check it out for you. I love signed books that are personal. I have all Pat Conroy's and would never part with them. It's nice to know the value though. Real peepz got real probz. If people are hard up and want to sell an autographed copy of one of my books, or even a rare edition of one granted I achieve the kind of status that would warrant one of my books changing hands for such gross amounts, I wouldn't mind. It's their business what they do with my books, and I also view it as their business with what they do with my words. An author's words, released to the public, cannot contrive meaning all their own. They need the reader's help for that, so, yeah, sell my books. Set them on fire. Teach them in a class. Line the pages with anthrax and send it back to me- it's not my business. I have a first edition paperback of Blood Meridian, that would be cool to have signed somehow. The only signed book i have is from Dave Eggers. I don't know if it's a fact, but intuitively I agree with Covewriter that it would depend on how many copies of that first edition got printed. That's the way it works with records - I have a few 'first presses' on vinyl from the 1960's that aren't worth that much even though the bands are well known, simply because there are loads of them in circulation. 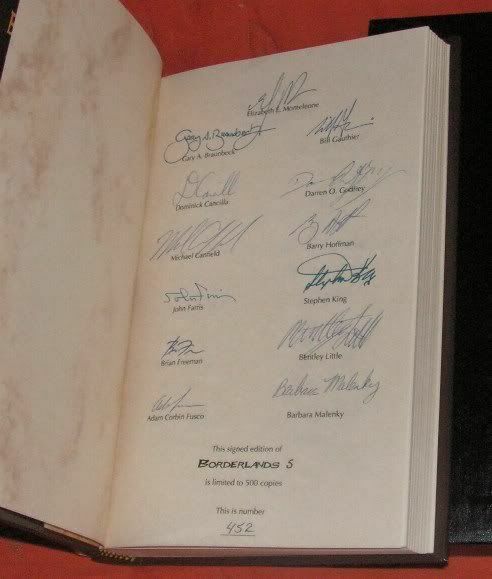 A signed first version might up the value more, but I wouldn't imagine it would be by much. I wouldn't have thought it matters whether the signing carries a personal message or not - if it's rare but with a personal message it would still be worth a lot due to the rarity, but if there are loads of copies available then the value will go down regardless. I have a copy of Great North Road by Peter F Hamilton that's signed to me personally, and I wouldn't sell it even if it became worth a lot, just because it commemorates the night I met him and shook his hand. I'd rather have that than money in the bank. He's not a hugely famous writer and isn't listed among the greats even in the sci-fi field, but what matters is that I've spent so many hours enjoying his stuff and I actually got to tell him that in person. The signed book is a souvenir and a keepsake. I guess I'm just sentimental, but I think people who sell things like that only end up regretting it. Especially if the money ends up getting spent on things that don't have that same sentimental value. Does anyone have a first run of Infinite Jest signed by DFW? first editions, first printings of FIGHT CLUB do have value, but the personalization, as said, reduces it. unless you can sell it to a guy named Jim. so if it was worth $400 signed, maybe it's worth $100-150 or so personalized. the only time i've seen a signed personalized copy that was still worth a lot, or even MORE than a flat signed copy is if the person it was signed to is famous, and/or the message was personal. so, if Chuck had signed this to Big Jim Thompson, noir author, and said something like "thanks for the elk burgers" in addition to his usual catch phrase, THEN it would be worth something, worth more. 123456789 on the first edition, first printing it would say 23456789 on the second. i'm pretty sure Fight Club has lots of editions, as i remember seeing copies of it on ebay that have said First Edition, Second Printing. 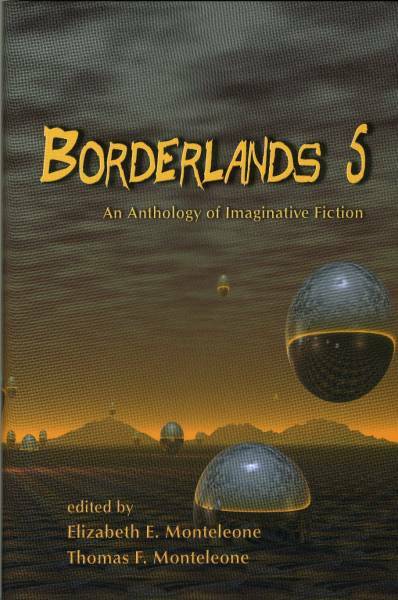 That's sort of outrageously priced for an EIGHTH printing. Personally, I won't go more than about $40 for anything that isn't a true first. Guess the Chuck market is higher priced than the other books I mess with? chuck market is still rather robust, especially for FC. but that is the ASKING price, not the SOLD price, yeah? Still, the balls to ask that much for an 8th printing. They're just hoping to snag some collectable greenhorn and fleece him/her. That was my thought, Dino. And yes, asking price and selling price are quite different, aren't they? Haha. ETA: The ebay prices are severely inflated compared to ABE... If I were trying to get a 1st/1st I'd definitely go to ABE over Ebay. They list a few going for the price of that 1st/8 that are 1st/1st and signed. I don't understand how you can charge much for a Chuck signature at all. The guy is easily accessible. And it was so easy to get signed books from St Helen's - the market has to be saturated. The only thing I can seen spending more than retail value for would be the 1st/1st. Wow, yeah, that copy of FC is listed for just a bit less than my first ed/2nd printing of For Whom the Bell Tolls is supposedly worth. If it were a 1st/1st it would be over a thousand, but 1st/2nd, even though it has the first issue dust jacket, it's only worth a quarter of the true 1st. SRead: I actually have a 1st/1st of For Whom the Bell Tolls, but it's only worth about $600 because the dust jacket, though original, is pretty tattered. 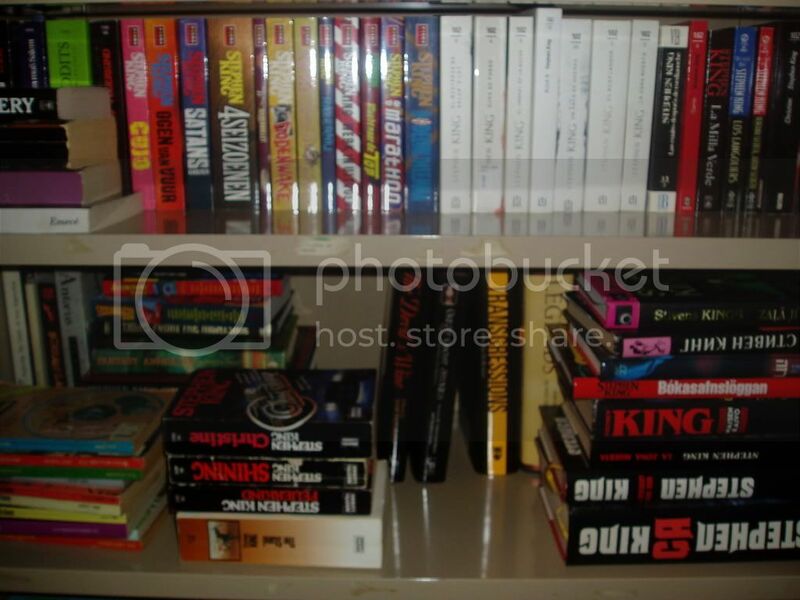 DJs are a huge factor in pricing, especially with older books. Yes, those darn dust jackets. So much value for what was considered the throwaway wrapper! Mine is fairly beat up, too. Not to mention that it's my grandma's old copy, and she's a bit loony and decided that one bookplate wasn't enough... I'm sure it's worth more to me than to a collector, haha. I think the gems in my collections are a 1st American edition of Peter Pan and Wendy, a signed 1st/1st of Intervew with the Vampire (I have 1sts of all her books, several signed. She's the sweetest lady), a signed copy of Neil Gaiman's Melinda, a 1st of Crowley's Magick in Theory and Practice, and three of the ten volumes of the first German translation of Shakespeare. I've spent my lunch money on books for as long as I can remember--and I did it again today when I found a nice hardback of Barker's Cabal. There's a rare book shop four doors down from my office, which is glorious and terrible. I love used bookstores. I just got a hardcover 1st/1st of CABAL, how funny. Are you going to enter the nightbreed contest? 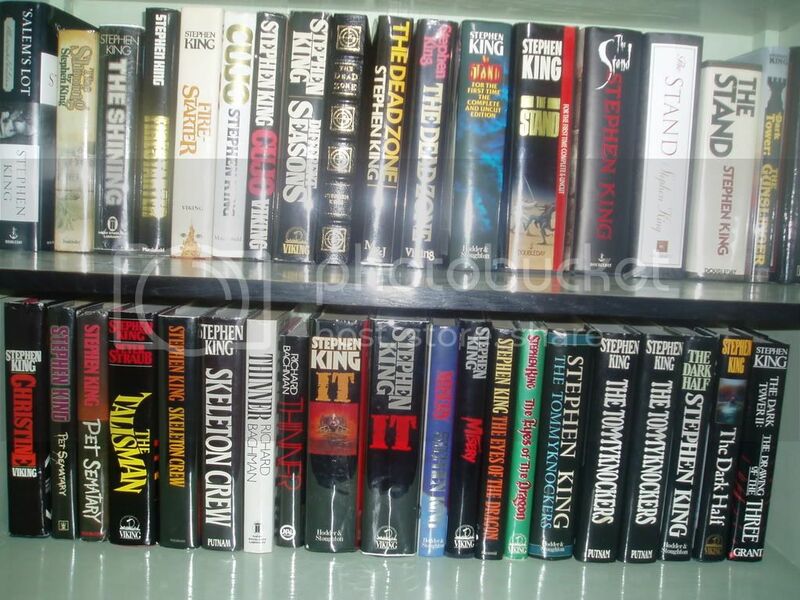 I used to have some really cool signed/limited King books, but not too many anymore, just a few anthologies. I do have his autograph a few times. Never met him. I have this beautiful signed/lettered of Jack Ketchum's PEACEABLE KINGDOM. Green leather, in a case, very cool. Also a signed/limited of THE GIRL NEXT DOOR. those are just a few i could find pictures of. I saw the nightbreed contest call. I don't know that I'll enter, but I'm looking forward to reading it. Are you entering? It sounds like an awesome project. nightbreed, we'll see, i want to, but have to read Cabal, at least skim it, and find a story. find the time to write it. tough call, but i'm going to try. That doesn't look like a problem to me, it looks more like a paradise. I'm probably not the best judge though. I got blisters on my fingers from scrolling down on my mouse! Seriously, that's an impressive collection. thanks. if you're wondering, for most of those pictures it's a USA first/first and then a UK first/first. 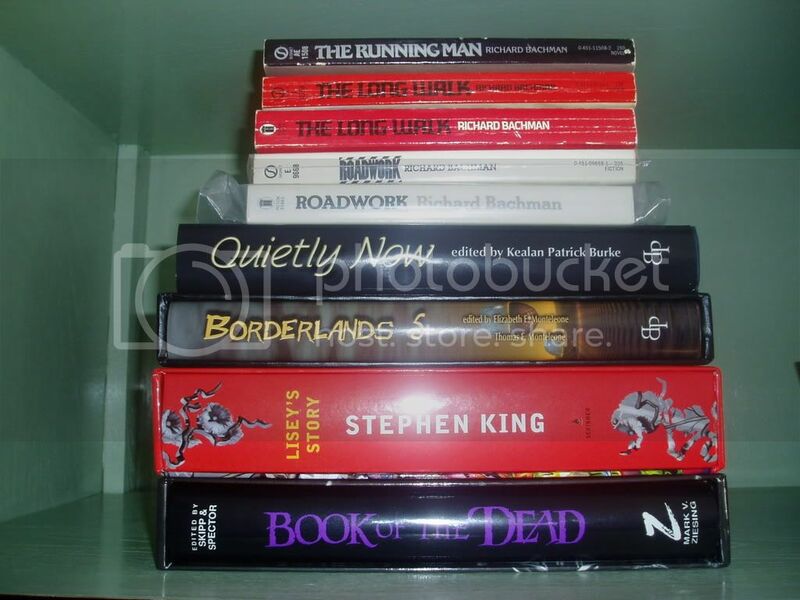 then the anthologies (and a few paperbacks, i don't have RAGE, sadly, so hard to get, and expensive). 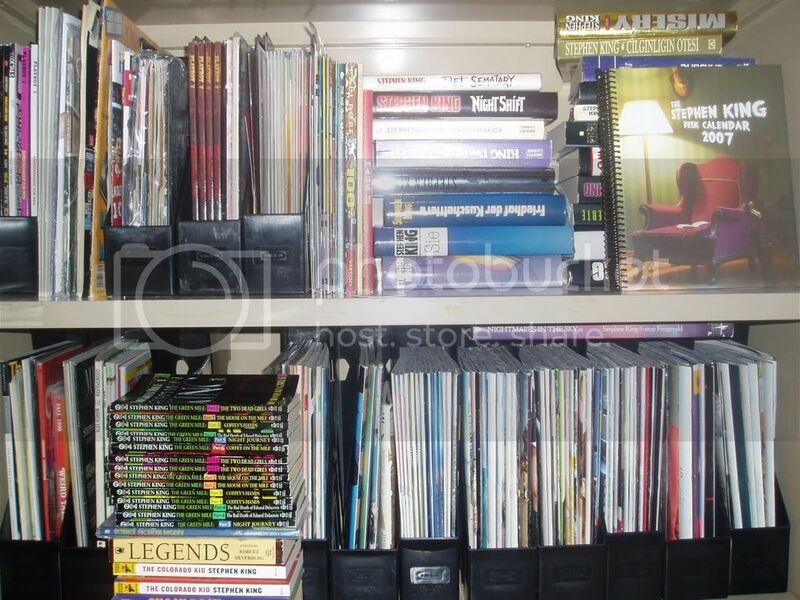 then the foreign editions and magazines. Damn, Richard. 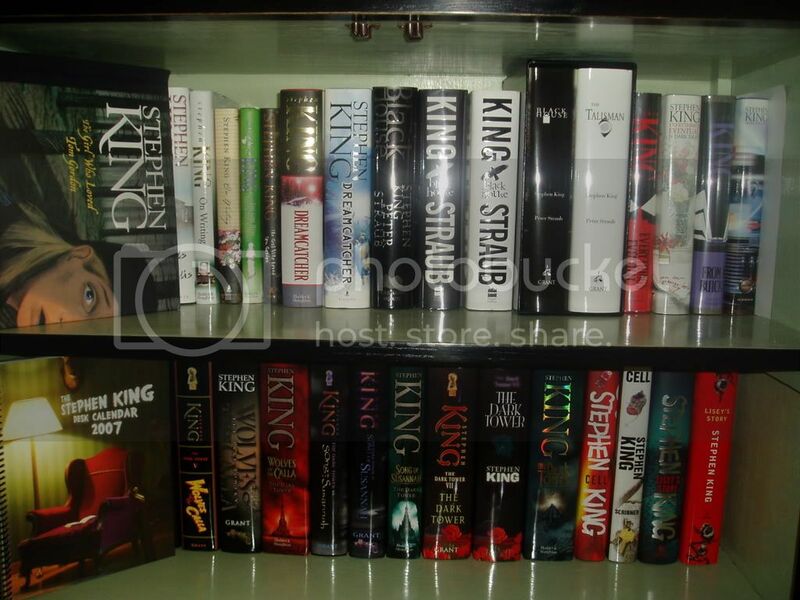 I thought my King collection was at least NOTEWORTHY, now it just looks pathetic. well, it took me many years to acquire. i was home with my twins for two years when they were little and it gave me something to do, a thrill at the mailbox. :-) don't tell my wife. Oh no, Dino. The devil in me wants you to go and report back. There's no "antiquarian book show" around here. Which is probably good, or I'd be homeless, dragging my library behind me in a train of rusty wagons. What have you found there before? Off the top of my head, 1st's of The Blind Assassin, East of Eden, All Quiet in the Western Front, and On the Beach. There are a few others, but they elude me at the moment. I might go, but I'm definately leaving the credit card at home and maybe taking $200 tops in cash. Where do you live that you don't get book shows? I ache for you! Dude... what if Richard Thomas IS Stephen King? Then...I just had a story of mine workshopped by the master of horror himself! Yes, that sounds like trouble of the best kind. Oof. I live in a kind of Bermuda Triangle between three large cultural centers. There are likely book shows within an hour or two drive. I'm sure Denver has some. It's even possible that all my friends and family know about them and are involved in a secret operation to make sure I remain ignorant. Which would certainly be for the best.